We had a great time here last year, so we decided to come back in 2018 too!! 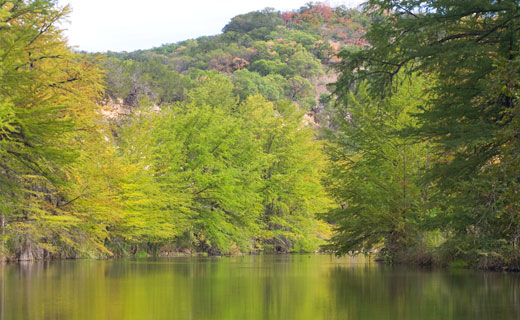 Come and enjoy a weekend away with your BCO Buddies in the spectacular Texas Hill Country! 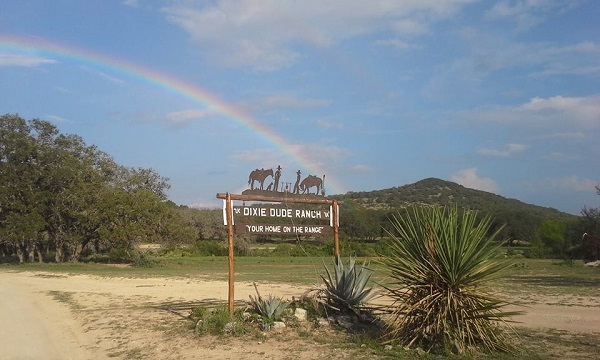 Dixie Dude ranch is located in the heart of the Texas Hill Country, one of the prettiest places in the state. It is a land of rolling green hills laced with crystal clear rivers, with friendly, fun-loving natives and plenty to see and do. 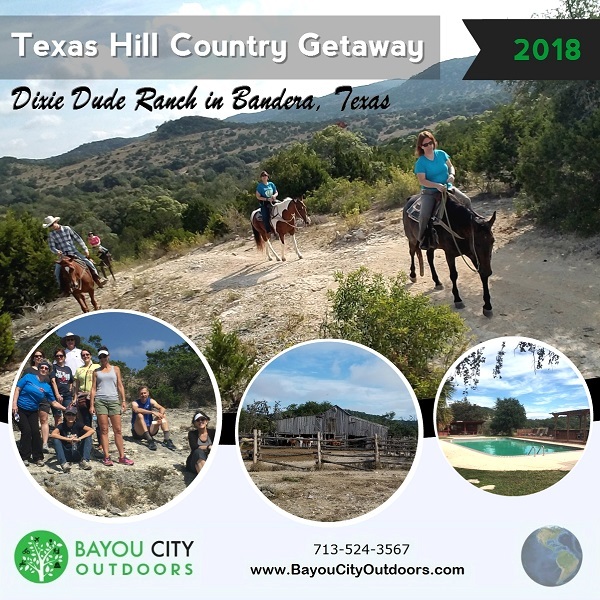 The ranch is only ten minutes from the famous town of Bandera, the Cowboy Capital of The World, where there is always music playing and honky-tonks to explore. It is also a short one-hour drive from the tourism mecca that is San Antonio, where you can enjoy the Alamo, the River Walk, Sea World, Fiesta Texas and more. 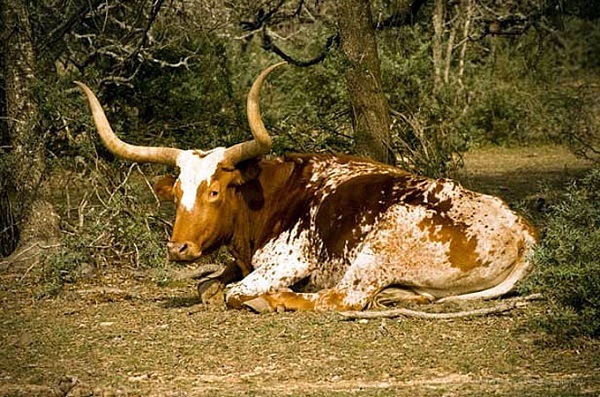 You will have to stay a long time to run out of new things to see in the Hill Country. 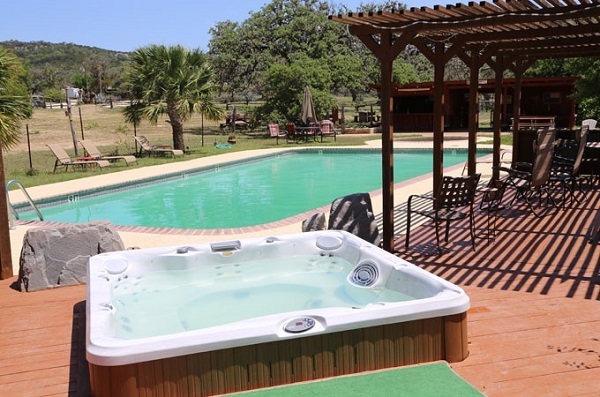 Large outdoor pool, catch-and-release fishing, nature hiking, evening ranch entertainment (except Sunday), campfires, and all other ranch activities. Also available are outdoor activities such as basketball, volleyball, horseshoes, ping-pong, tetherball and washers. Explore the ranch on our hiking trails, hunt for fossils and arrowheads or check out our century-old barn and Range War Cemetery. Licensed massage therapy. Dixie Dude Ranch Guest Rooms and Cottages have private baths, air conditioning and vented heat or fireplaces. Rates are $145/night per person based on double occupancy. Single occupancy is also available for $165/night. A one night deposit is required to hold your spot. Fill out the secure payment information with your credit card - *VERY IMPORTANT - under "Company", put "BCO"
Your done, pack your bag! Cancellations are done directly through Dixie Dude Ranch. Their policy is that if you must cancel your stay, you must notify their office AT LEAST 30 days prior to your arrival date to ensure a full deposit refund. Otherwise you will be charged the full amount of your entire reservation. If it is canceled within 30 days, the deposit can be transferred to a new date.